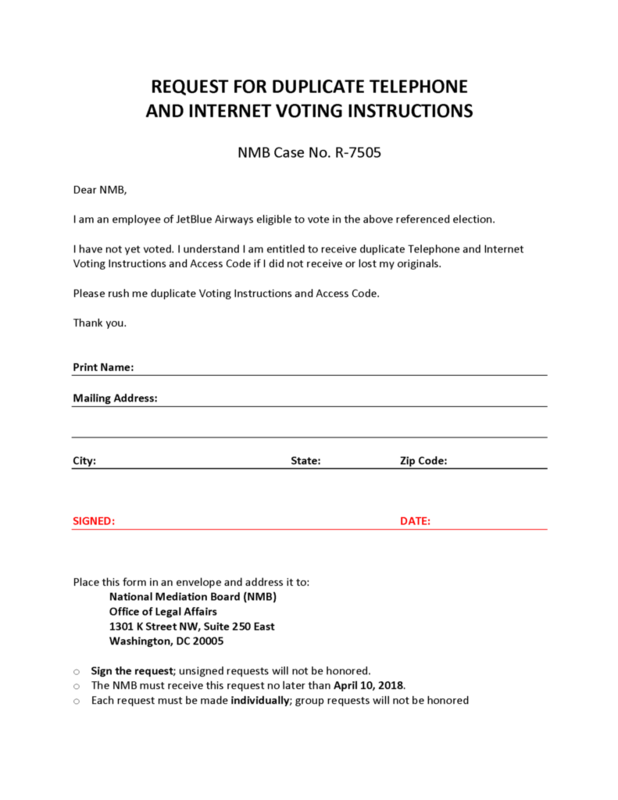 Did you receive your access code & voting instructions from the NMB? If not, here’s what to do! 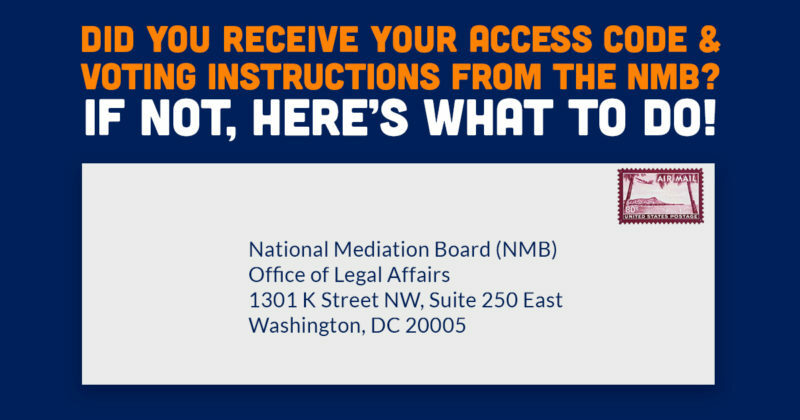 If you haven’t received a set of instructions with your access code from the NMB by March 23, 2018, you can request a duplicate set of instructions. 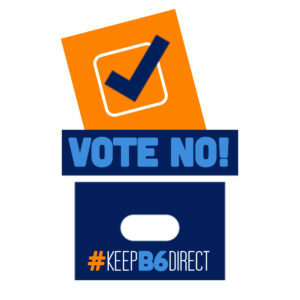 We’ve prepared a form letter you can print, fill out, sign and drop in the mail. Click on the image to view and download the printable PDF. YOUR REQUEST MUST BE IN WRITING AND SIGNED BY YOU. THE REQUEST MUST BE IN AN INDIVIDUAL ENVELOPE. NO GROUP REQUESTS WILL BE ACCEPTED. REQUESTS BY PHONE OR FACSIMILE ARE NOT ACCEPTED. NO REQUESTS WILL BE ACCEPTED AFTER APRIL 10, 2018.